This is yet another first-time match-up in the Euroleague as these teams square off for the first time. Both of the teams are coming into Round 3 on the back of a strong win in Round 2 but one team will lose out at the end of this one. Strasbourg haven’t had a lot of joy on the road, losing 13 in a row, but with every passing game, they’ll be more determined to break that run. This is something that Bayern Munich will be very much aware of. You don’t want to be the team that helps a team to break a losing run, as the psychological impact can be damaging to you and of benefit to them. There are plenty of strong players in the German squad though but so far, the Munich haven’t been scoring enough points. 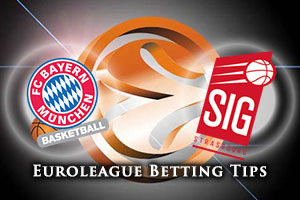 68 points per game isn’t good enough for the Euroleague, so this is something that Bayern have to work on. Mind you, with players like Alex Renfroe and Nihad Djedovic, there are quality players in the German team’s line-up, and this should make the difference. If FC Bayern Munich have struggled with scoring, Strasbourg have struggled with turnovers. Their record of 20 per game is the highest in the league and this is something that the French side will need to improve on quickly. 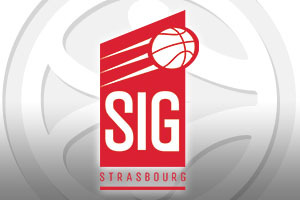 There are some big game players in the Strasbourg team, players like Roddy Beaubois and Louis Campbell can positively impact on games, but they’ll need a big effort tonight. The longer a losing run continues, the more demoralising it will be, and this is why Strasbourg will desperate to get a road victory on Friday night. The bookmakers think the Strasbourg losing run on the road will continue and you can find FC Bayern Munich at -7.5 at odds of 1.90. If you are looking to enjoy the Over/Under market, given the low scoring rates of the teams, you should look to go UNDER 149.5 at odds of 1.90. Bet Now!